Home English ‘Tej I Love You’ is copy of a Hollywood film! ‘Tej I Love You’ is copy of a Hollywood film! Sai Dharam Tej’s “Tej I Love U” has received lukewarm response on its opening day. The film has been written off as routine rom-com that is mishmash of Karunakaran’s earlier films. Tej i Love U has got sister sentiment like that of Pawan Kalyan’s Tholiprema. The pranks played by hero – heroine reminds us of Prabhas’ Darling. The main plot of Tej I Love You is Anupama Parameswaran losing her memory and not recognizing Sai Dharam Tej by the time their love blossoms. 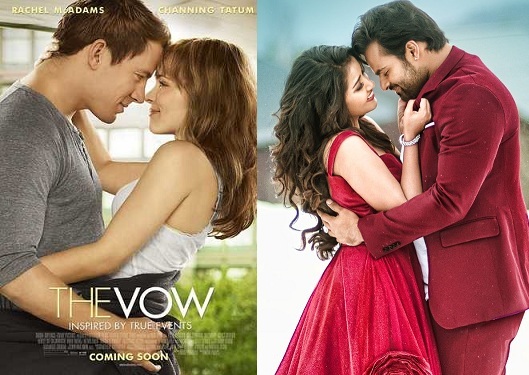 This point has been lifted from Hollywood film titled ‘The Vow’ starring Rachel Mc Adams and Channing Tatum. However, Tej I Love You too has gone Agnyaathavasi way. The Pawan starrer to was a rip off French film ‘Largo Winch’, but ended a flop. Previous articlePawan Kalyan’s daughter with Che Guevera!